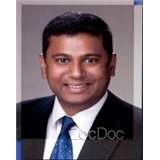 Anand Balasubramanian, MD (Houston) - Book Appointment Online! This practice features primary focus on primary care services with emphasize on preventive medicine per medicare guidelines. We also call on local acute and long term hospital, assisted living and nursing homes. We also provide various outpatient services besides physician consultation. Please visit us @ http://www.hnwprimarycare.com/services.php for a list of services provided.